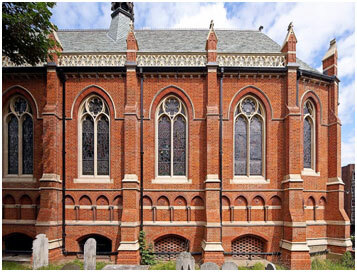 Cholmeley Lodge is the masonic Lodge for pupils, teachers and Governors from Highgate School, London N6. We warmly welcome you to our website and hope you will find what you need here. If you do not then please do get in touch with us and we will be happy to assist. 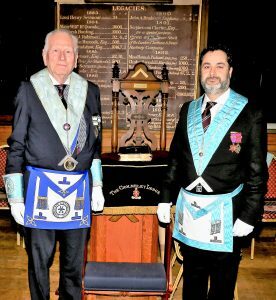 If you are an ex-Highgate Pupil, teacher or Governor who would interested to know more about the Lodge or masonry in general please see our ‘Become a Freemason’ page. Cholmeley Lodge was founded in 1878 and is the Oldest Public School Lodge. We are members of the Public Schools Lodges, PSLC. We were very proud to celebrate our 140th Anniversary in 2018 with a special meeting at Highgate School. 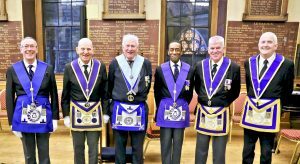 This special event gathered masons from 33 other Public Schools Lodges for a celebration along with their friends and partners, (both male and female).